I live on Johns Island with my beautiful wife and 2 dogs, Nora and Mosey. My brother in law is right down the road with his wife, daughter and two dogs! I have a sister in Portugal, a brother in London and both my parents live at home!! I grew up in the coast of Donegal in an Irish speaking parish of Gweedore (Ghaoth Dobhair). It is a lovely little place with beautiful scenery, beaches and a huge history of traditional Irish Music. Enya is from up the road and the bands Altan and Clannad are from Gweedore also. We all moved down here March 24th 2015 to James Island, before moving to Johns Island. We all decided to move to Charleston for a number of reasons, mainly the climate. This is also where we wanted to open our Irish pub. Everyone is so friendly down here and the city is littered with culture. What is there not to like about Charleston? I love being by the ocean, the people are friendly, there is so much to do but my favorite aspect would be the Charleston Irish community. It can be tough being away from our homeland and culture but make one phone call and we can get together and it is just like being at home!! Charleston is also the city that gave me the opportunity to open a pub (then another) and help me live out my dream. 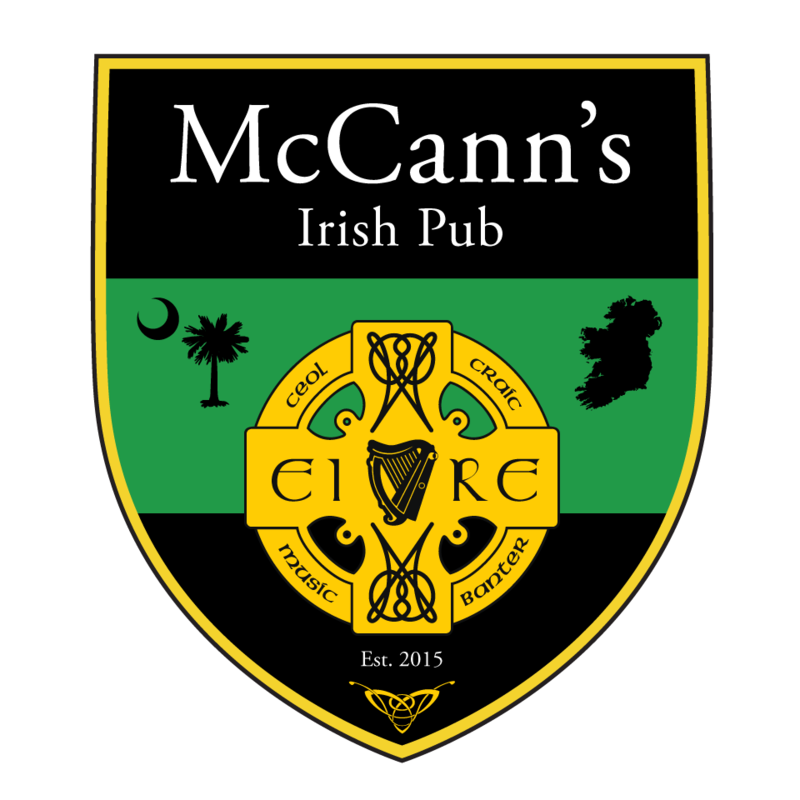 McCann's Irish Pubs are authentic Irish owned and operated businesses. Our first location is located In Mount Pleasant and was first opened in 2015 and our second location is located on Seabrook island and we opened in 2017. They are both authentic pub aiming to bring the taste and culture of Ireland to the low country. We specialize in authentic Irish cuisine and have a large selection of Irish Whiskies and a wide selection of Irish beers. We do host Irish music every month ranging from traditional Irish session to the very talented Finbar McCarthy. The name McCann's comes from my wife and brother in law, they are both McCann's. You will find one of us at each location every day. The Angel Oak tree on Johns Island is usually the first place I take people, mainly because it's beside my house! Downtown Charleston is usually a place I'll take visitors for brunch or a few drinks and is a nice place to walk around and take in the sights of the city. I love answering questions and giving travel advice about Ireland at work. I'm also a big fan of supporting the local Irish owned businesses and enjoy a nice pint with the lads at my local, Seanachai on Johns Island.